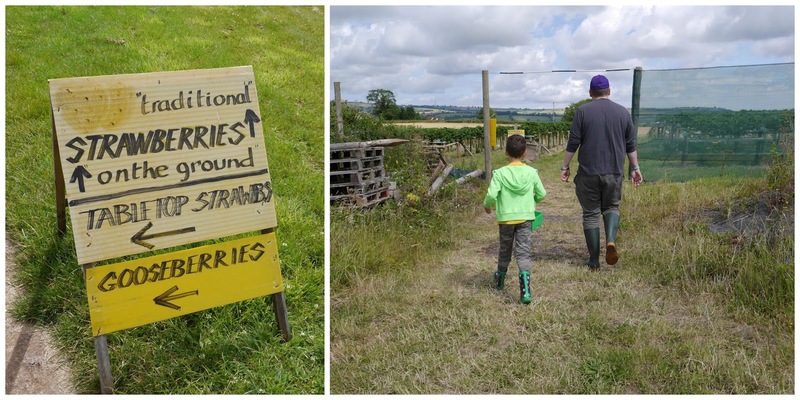 This year we spent our wedding anniversary picking our own strawberries at Chosen Hill farm near Chew Magna. 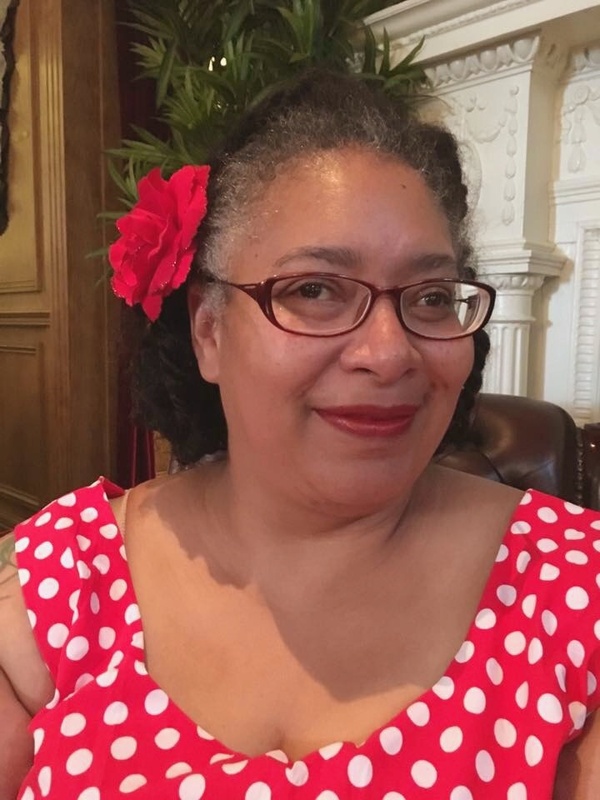 Not quite our usual anniversary celebration of a table somewhere fancy and gorging on amazing food, but, this was just as good and we had so much fun in the sunshine! 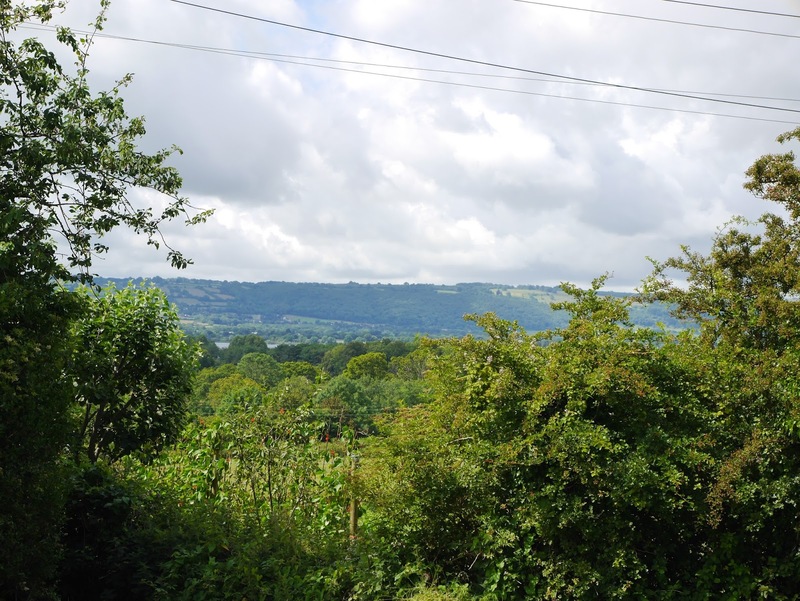 Chosen Hill farm is tucked away, up a hill overlooking Chew Valley lake. The views are spectacular--I bet it looks amazing in autumn with all the trees ablaze with colour. With the perfect growing weather we've had recently, it's really hard to spot the lake with the trees sprawling everywhere! 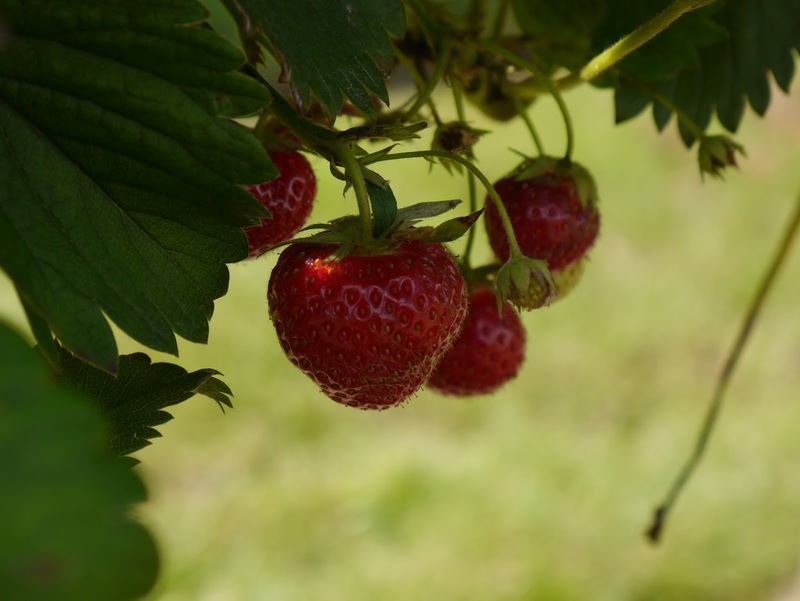 One of the nicest things about Chosen Hill is that they grow a lot of their strawberries up on tables to make strawberry picking as accessible as possible. 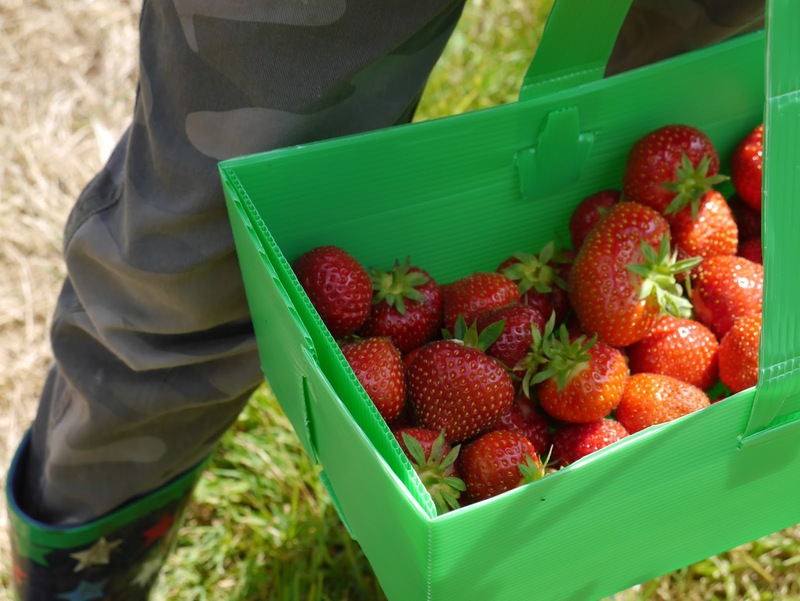 It's also rather nice for those of us who remember just how back-breaking traditional strawberry picking is! 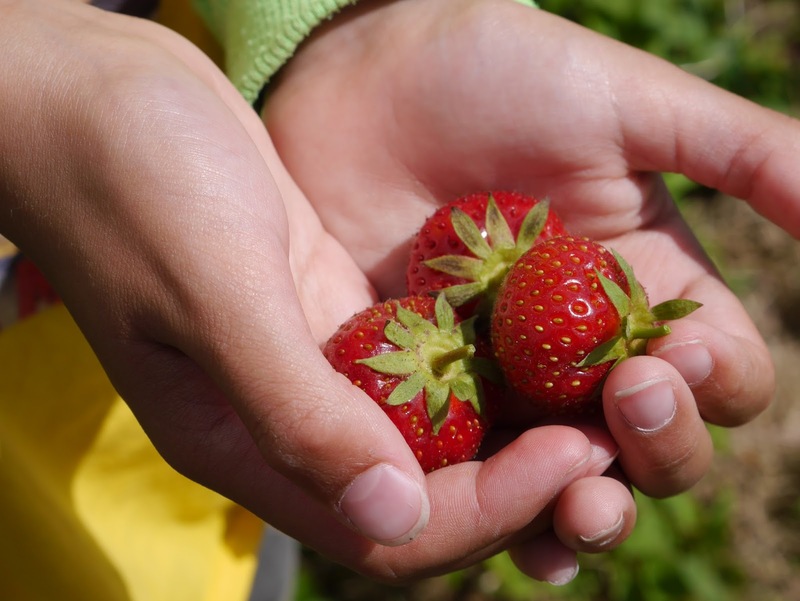 Stepping into the strawberry field was an incredible experience; the rich and heady scent of ripe strawberries settled around us like the most delicious blanket imaginable. I'm sure that alone made us keep picking and picking and picking. And when we tasted a berry each, well...we nearly went back for a second basket! 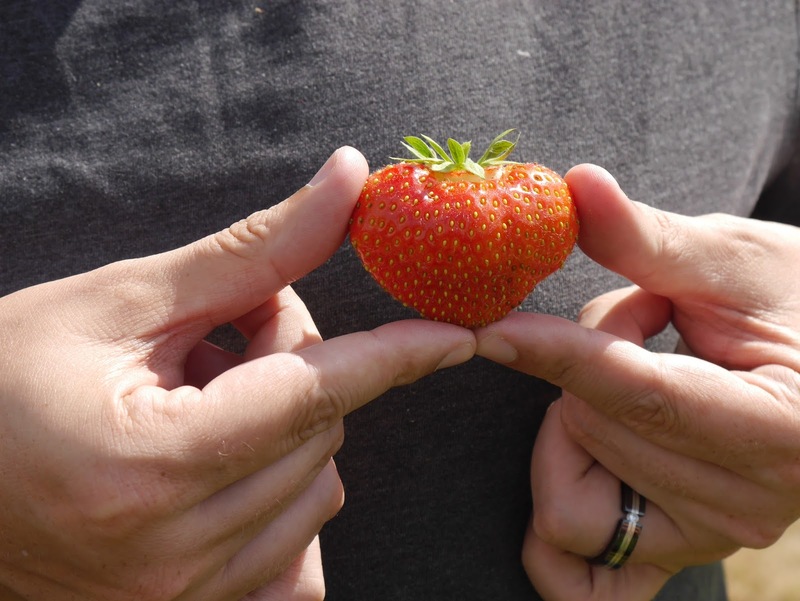 Romance abounded in the field--Dave found a heart-shaped strawberry and presented it to me. There were some monstrously large berries, so large that their weight was ripping them away from their stems. I suppose they could have been full of magic, like Roald Dahl's giant peach... We stuck to smaller berries who were perfectly ripe and ready to feast upon (and turn into jam, but that's a story for another day). The farm shop handily sells local cream and meringues so that you can make an almost instant Eton Mess or pavlova--what a wonderful idea! We stocked up on both and that evening Dave made me a gorgeous Eton Mess, lightly tinted pink with strawberry juice. I'd thoroughly recommend Chosen Hill farm for PYO fruit. The flavour of the strawberries we picked utterly blew away any supermarket berry and were better than I've had in many a starred restaurant, too. We ventured into the raspberry canes--these smelled amazing, too--and had a look for gooseberries so that Lucas could see what they looked like. They have a really good variety of fruit, with some that I'd never tasted before, too. 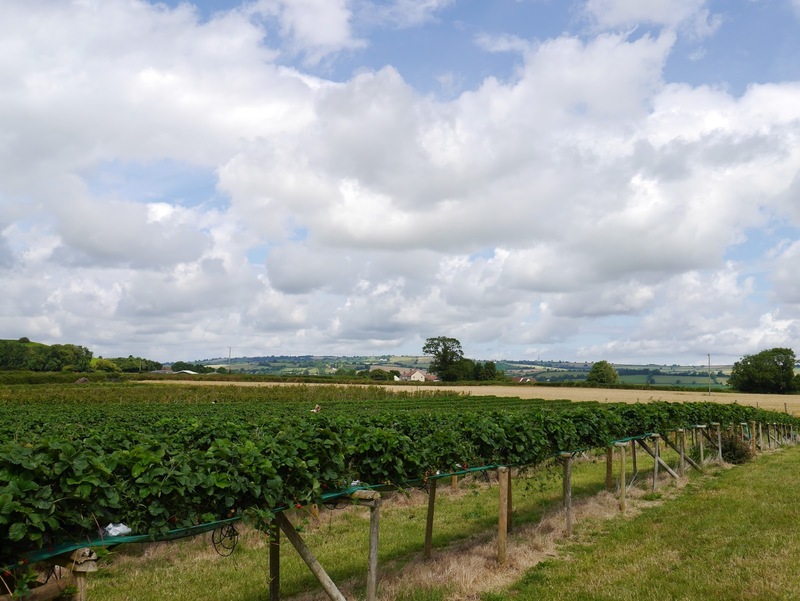 I could happily spend a day there, picking fruit and then taking it all home to make jam! 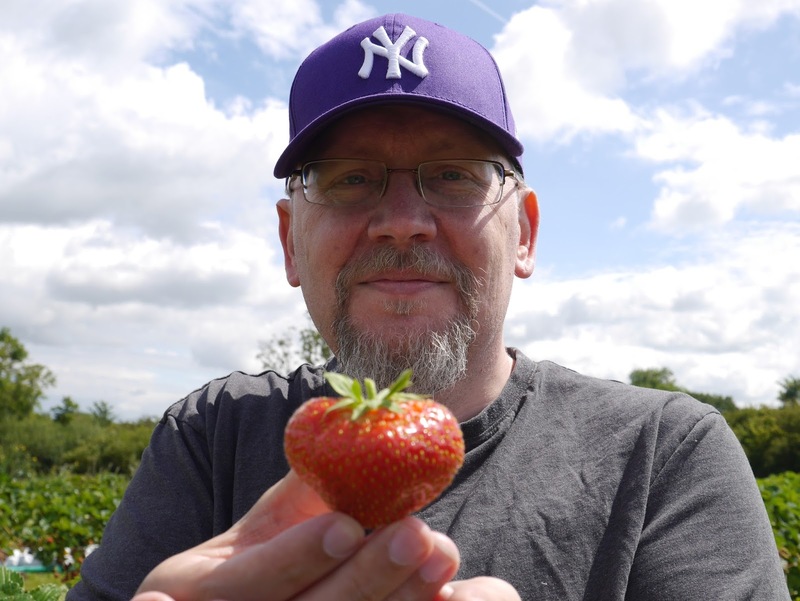 A Yankees hat in England, eh? And those berries! Ah, summer is wonderful. I love the thoughtfulness of growing them higher up! Everyone comments on the hat :P He only picked that one because I like him in purple!! Oh what a wonderful way to spend your anniversary - the strawberries look delicious!